Location is everything and this is one of the best locations in Park City! 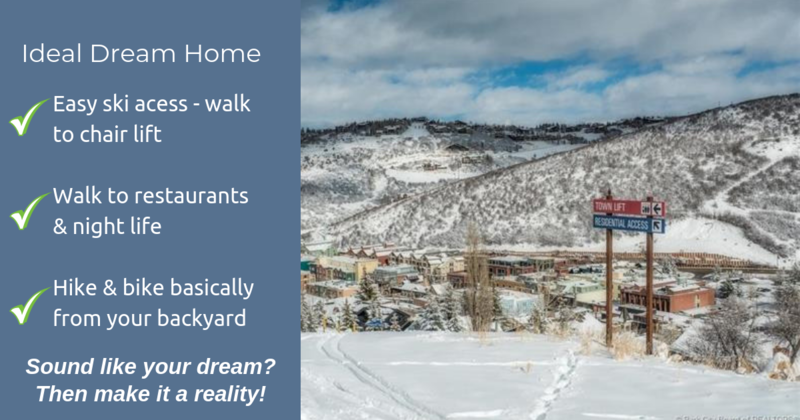 Walk to restaurants and night life and easily hop on the Town Lift to ski North America’s largest ski resort without having to deal with parking. This property is in the heart of it all, 4th of July Parade, Halloween on Main Street, Sundance Film Festival, and lots of other great events and activities, are all just steps away. Hop on your mountain bike without having to drive to the trailhead and access some of Park City’s best trails (note: there are 450+ miles of mountain bike trails in Park City). This oversized Old Town lot can easily support a 3,500 – 4,500 square foot home but is currently configured as a two bedroom/two bathroom home with a loft and den. Isn’t it time to make your dreams a realty? Call or text 408.219.5298 for more information.